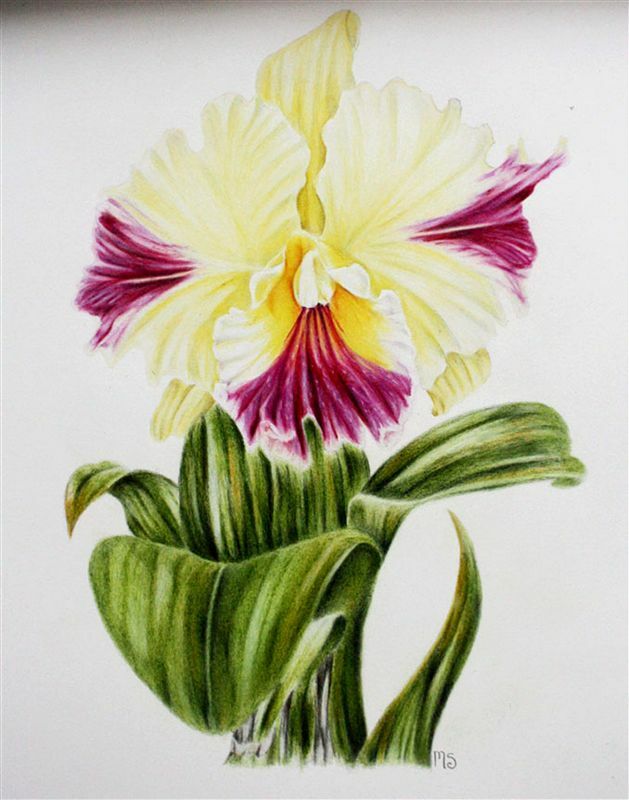 This workshop will show students how to produce stunning effects in coloured pencil botanical work, equal to that of watercolour painting.Easy to use and convenient to store and replace, coloured pencils can be used alone or combined with graphite. Techniques such as burnishing and layering, along with accurate colour matching, tonal rendering and composition will help students to master this rewarding medium. A step-by-step floral portrait will be the focus of the workshop. floral portrait using coloured pencils.